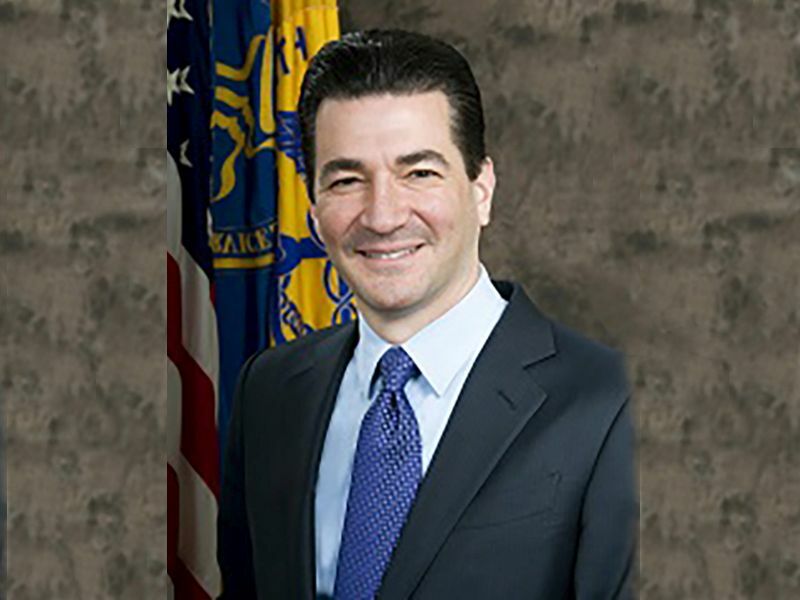 "All of us at HHS are proud of the remarkable work Commissioner Gottlieb has done at the FDA," Health and Human Services Secretary Alex Azar said in a statement. "He has been an exemplary public health leader, aggressive advocate for American patients, and passionate promoter of innovation. The public health of our country is better off for the work Scott and the entire FDA team have done over the last two years." Gottlieb's initial appointment by the Trump administration was not greeted warmly by consumer advocates, who pointed to the 46-year-old physician and wealthy venture capitalist's ties to pharmaceutical companies. But Gottlieb fought hard to safeguard Americans from tough emerging challenges such as youth vaping and the opioid addiction crisis. Unlike the heads of some other major government agencies in the Trump administration, Gottlieb created little controversy and his departure was not sought by the White House, sources told the Post. President Trump liked Gottlieb, and two officials told the Post that Gottlieb might even be asked to fill another post should he so desire to do so in the future. Gottlieb is leaving the FDA because he wants to spend more time with his wife and three young daughters -- twins aged 9 and a 5-year-old -- one official said. He currently commutes each week from the family home in Connecticut to his Washington, D.C., office. Gottlieb's signature effort at the FDA has been tighter scrutiny and enforcement of the burgeoning e-cigarette industry, especially its growing hold on kids. The agency's new plan to help curb the spread of youth vaping is under review by the White House. It would greatly curtail the sale of flavored e-cigarettes, which Gottlieb worries will hook a whole new generation on nicotine. In other moves, Gottlieb's FDA has also sought to ban menthol cigarettes and cut nicotine levels in cigarettes to "minimally addictive" levels. With Gottlieb gone, the fate of those initiatives becomes murkier, experts said. Not everyone thinks Gottlieb has gone far enough, however. Speaking to the Post, Matthew Myers, president of Campaign for Tobacco-Free Kids, said that "his strong words [on youth vaping] have changed the public debate but until they are translated into enforceable rules, the epidemic will only grow worse." Gottlieb's other major accomplishments listed in his resignation letter to Azar included speeding approval of generic drugs and revamping the agency's handling of new genetic and targeted therapies for cancer and other illnesses. "He understands the politics and bureaucracy of Washington -- and he knows how to make that system work to benefit patients," Ellen Sigal, chair of the nonprofit Friends of Cancer Research, told the Post. Despite strong ties to the drug industry, Gottlieb took a very active regulatory stand when it came to fostering competition and reducing the cost of both brand-name and generic medications. And with the opioid crisis affecting the lives of millions of Americans, the FDA Commissioner helped push through the removal of the opioid drug Opana ER from the market -- the first such time the agency requested the action on public health grounds, the Post said. The medicine was designed to be less open to abuse, but its introduction simply led addicts to head for heroin instead, the FDA said. On the other hand, the FDA in November approved a powerful new fentanyl painkiller, Dsuvia, for use in very sick patients. Critics charged the drug would get diverted to illicit use. The FDA's balancing act between providing patients with pain relief and curbing opioid addiction is a tough one. Just before his resignation, Gottlieb said he would require drug companies to re-examine just how effective opioids were against chronic pain. "To what extent should we evaluate each opioid solely on its own merits, and to what extent should we also consider … the epidemic of opioid misuse and abuse that's gripping our nation?" he wrote.